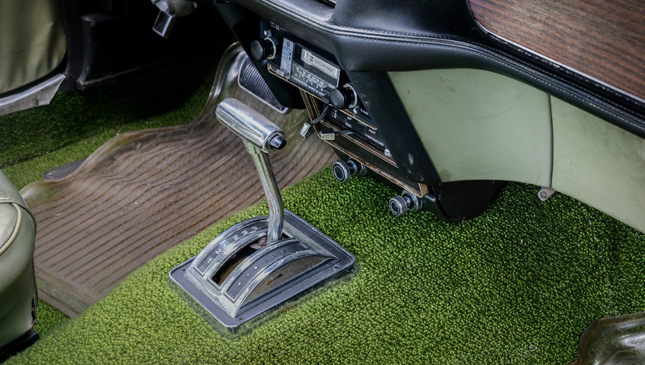 Back in the '60s, muscle and pony cars were the cool kids' ride of choice. 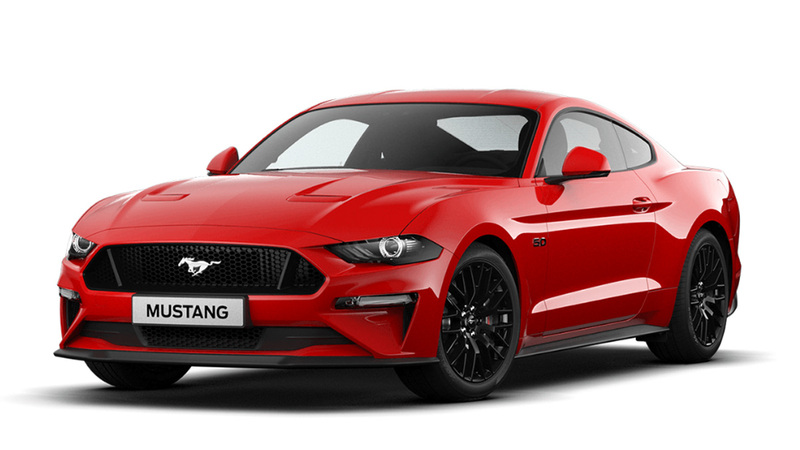 The pony car to get was the Mustang, which became a household name thanks to its loud, powerful V8, timeless and aggressive styling, and a character befitting its slick and suave owners. 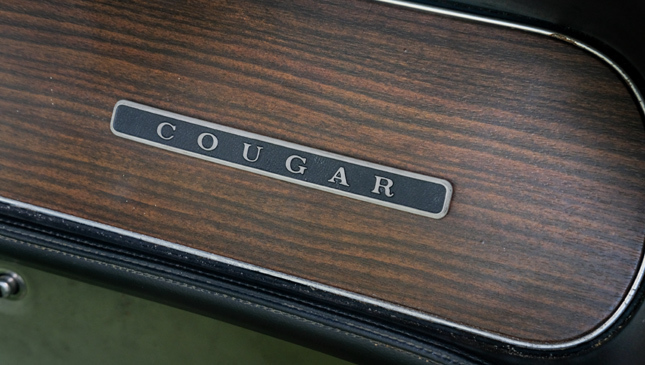 If the Mustang wasn't posh enough, however, Ford's Mercury division offered another option--the Cougar. 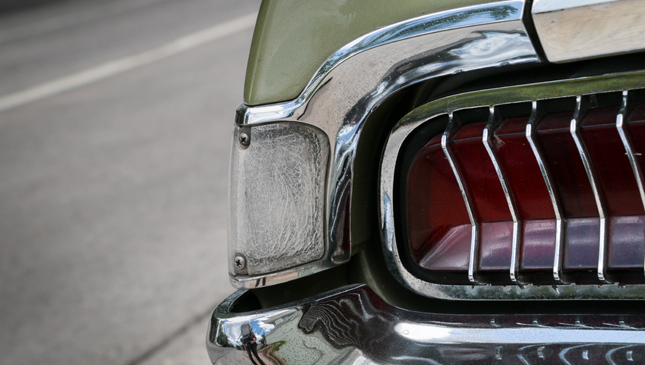 Given that Mercury was created to bridge the gap between Ford and its deluxe brand Lincoln, its cars are essentially premium Fords or junior Lincolns. The Cougar, based on the Mustang, is no exception. 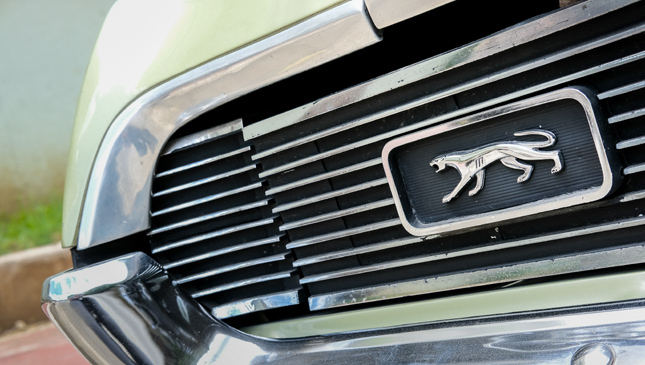 But while this famous cat shared a unibody construction with its pony counterpart, the two models had no exterior sheet metal in common. The Cougar's wheelbase was longer by 7.6cm, bringing the total wheelbase to just under 282cm--the 'longest among personal sports cars' at the time, according to the official brochure. Versus the Mustang, the Cougar had roomier rear seats, significantly plusher interior trim, and a quieter cabin (thanks to 60kg of sound insulation). The exterior styling was likewise more upscale and intended to be more 'European,' by American consumer standards. 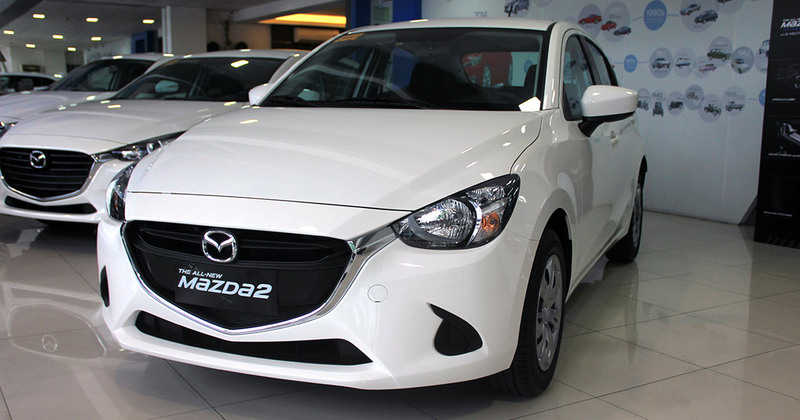 The most striking design cue was the 'electric shaver' front grille, which also featured retractable headlamp covers. 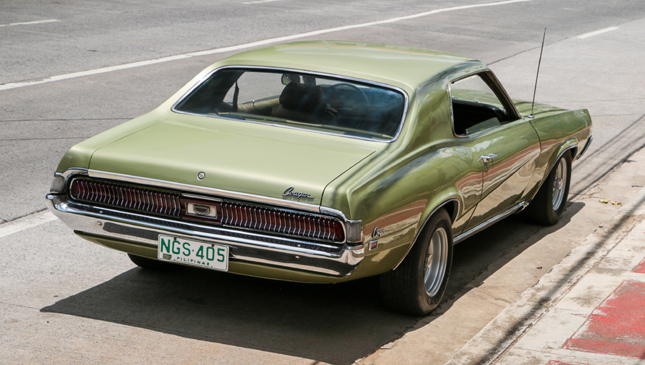 Over at the rear end, Ford gave the Cougar the Thunderbird's sequential taillight gimmick. These taillights flashed in sequence to mirror the activation of turn signals, further adding to the car’s fancy vibes. These days, American muscle like the Cougar can fetch a very high price among collectors and enthusiasts. One such enthusiast is Alfred Perez, who owns the 1969 model shown here. A friend of his pointed him in the direction of this Cougar, and when he eventually tracked it down, it turned out to be a former US serviceman's car. The original owner had brought it to the Philippines tax-free thanks to his serviceman privileges. He sold the car to Alfred because he was getting older and no longer had the energy to enjoy his beloved ride. 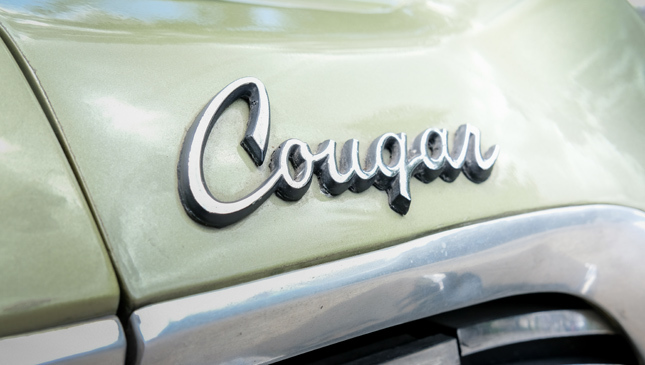 The Cougar itself is well-kept, and required only a battery change for the 250hp V8 to roar back to life. Aside from this, Alfred hasn't done much other than give the car a wash-over. Inside, everything is mostly in good working order: All the windows go up and down without any issues, and the fuel gauge is working (although as expected, its needle drops down at an alarming rate because of the thirsty 5.8-liter motor). The head unit, however, has been replaced with a Japanese one. 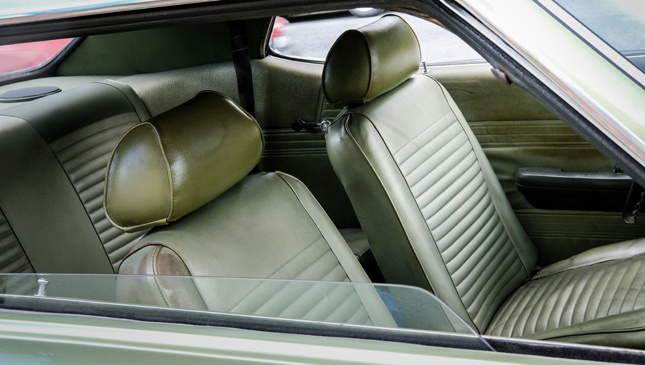 The front passenger seat doesn't exactly fold the right way anymore, and there are tears in the ceiling upholstery that appear to have been lovingly stitched back up by the original owner. 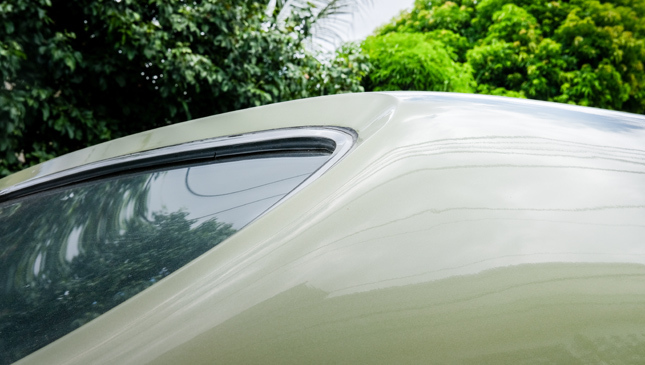 These quirks, however, only add to the car's character. More important, the paint job is original, the retractable headlight covers still work, and the wheels are a factory option. 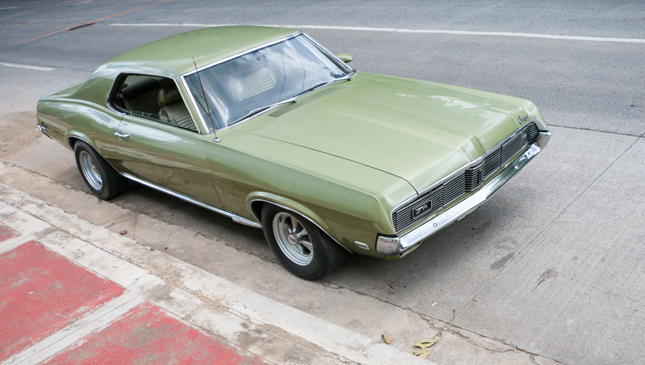 Alfred's car collection is quite extensive, but surprisingly, this Cougar is his only muscle/pony car. He plans on restoring it for car shows, as he does with many of his vintage rides. Though this may sound like a pricey investment, it's well worth it. 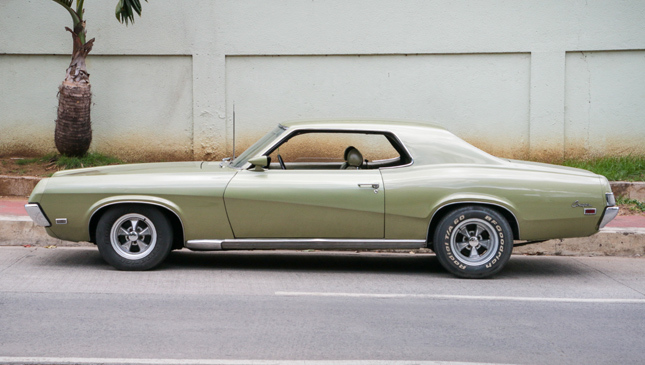 With its dashing good looks, beefy performance, and a quality restoration from Alfred's shop, this Cougar could become Top Cat once again. Note: This article originally appeared in Top Gear Philippines' July 2017 issue.